THE RAT TALE’ all started about 35 years ago. I was working in San Francisco at the time, long slow distance running became my “refuge”. Eventually, all ULTRA runners “lose their senses” as to their conscious awareness and beyond. But, this wasn’t the case while pounding the hard surfaces, darting between the dark and cold surface below the granite canyons of tall buildings lining the commercial districts of San Francisco. The solace of my daily runs was constantly being inundated with loud, and unfriendly blasts of insidious outrage! Automobiles with irritated drivers were, it seemed, at every intersection just waiting to thwart my peaceful intentions of being “different”, fit and enjoying the conquest of just being able to put one foot in front of another, forever! The challenge of survival was indeed powerful; my life depended upon it. Alas, peace of mind was not to be had. It was time to find that place where I could mentally disappear, that private place, while just placing one foot in front of another. 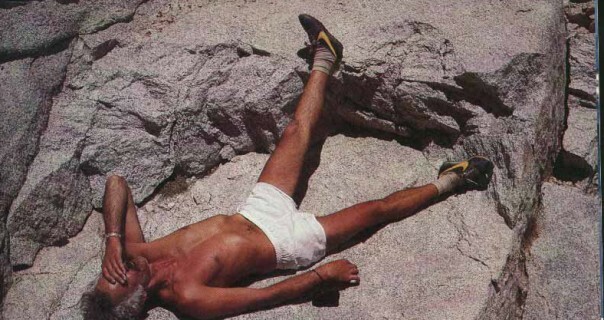 It was during this phase of transition that I started to train for my Death Valley venture AND, to have Peace of Mind. Coincidentally, I relocated to Walnut Creek, California and soon became an advocate of a beautiful site, right in my own “backyard”: Mount Diablo. Click here and here for some photos of the mountain. It was on this Mountain that I would enjoy many years of “Adventure Roving” with peace of mind and solitude. I soon became part of a new individuality of being “aware and apart” simultaneously. I seemed to be protective of my whereabouts and the surrounding challenges, but, at the same time, moving “forever forward.” Thus ‘The Rat’, one of many wonderful and personal experiences while traversing the spiritual slopes of this 4000′ ancient fossil encrusted sea-bed. Training, for me, has always focused on its environment. I wouldn’t allow too much non-environment time in preparation. Rather than jog through city streets, on my way to my “metaphysical cave,” I would drive to Juniper Camp, two miles below the summit of Mount Diablo. The next 25 miles was an invasion of the “past”. I would become an extension of its history. Drought and exceptional high temperatures were the norm for California during the 70’s. Mitchell Canyon, during July, is an extension of the struggles for survival, in any of life’s form. The ‘Badwater 135’ is such an environment. As on Mount Diablo, areas do exist that provide comfort, but once you leave those “safe areas”, you’re on your own. If life’s form is not prepared for the risk, then it should not be taken. That is the basic rule. Failure is the ultimate consequence. Years of arduous training had disciplined my training options. It was all a consideration of a “risk factor.” After all, when an ULTRA athlete decides to go it alone, alone is what it is! The power of being “above it all” eventually consumes the lonely runner. Every venture has the potential of beauty and horror. This is a tale of beauty. I had been on the trails for many hours and there was no refuge from the blazing heat of the mid-afternoon sun. I had left a hidden spring/oasis a few miles below me. Everywhere, signs of parched bones of the unfortunate: plants and small creatures of the mountain. It was a risky venture for man or beast. But, that’s being a survivalist. It was an ULTRA’S ideal training camp, especially for running through Death Valley. It never ceases to amaze me as to the balance of knowing where you’re jogging, yet, hours disappear without any recollection of those footsteps left behind. That is, unless the unexpected alerts your hidden safeguards. The sudden, yet faint, movement of the hot and dusty trail directly in front of my pathway was one of those precious moments. As I examined the area VERY closely, I spotted the parched and almost fur-less hide of a giant rat, with it’s glaring eyes darting helplessly. Crazy as it may seem, I spent a few moments “talking to” this pitiful looking creature. “hairless” nearly three miles down to my hidden spring. It was quite an exchange of body language between Mr. Rat and myself. Let’s be honest, not selfish nor vindictive. It’s time to heal ALL wounds and open our resources for the successful continuance of ULTRA Sports, specifically, in Death Valley. It takes a great deal of time and “know-how” to promote, successfully, these ULTRA event, such as the ‘Badwater 135’. It is not in the best interest of ‘The Sport’ that “mature” individuals should allow themselves to be swept-up in a “fire-storm” of misinformation. It would appear, that the sole purpose, of such wasted energy, is to discredit and destroy “common grounds”. What a shame. Too many harsh and unsavory words have been assailed. I would like to let it rest, there is nothing to gain in harboring ill will!!!. I’m sure that the “last word” is out there, somewhere. Here is mine. I know that it is rather long but I feel that I should be heard, Hopefully some will concur:)) My being recognized as the ‘First BW to Whitney Summit’ then I will be the first to say: ENOUGH IS ENOUGH!! The future of “The Sport”, depends upon it! I have NO special interest involvement, other than the continuing of ULTRA events in DVNP. But, with the highest level of cooperation, integrity and fierce competition. Every individual involved should think: “Fair and common to ALL”. Thank you, in advance, for your friendship and continued support. First and most important: I am stating, emphatically, that Chris Kostman is not the “culprit/bad-guy”! It is important to recognize and accept the fact: Race Directors/Officials will always be criticized, especially when enforcing the “Rules of Engagement”: written, implied, or otherwise. It usually erupts when a “special interest” is denied the continuance of “procedures” favoring a specific team, and in conflict with the other competitors. This practice is very common but does not warrant being accepted, It is the duty and responsibilities of the Race Officials to maintain the “primary purpose” of the event. The personalities and conduct, of these individuals, destroy the basic, but waning, concept of fair-play. Unfortunately: “winning is the only thing” has eroded ideals of being a “good-sport”. The violators, themselves, are the real losers. It’s to the environment, of which they are competing and “altering”, to their advantage and not other runners, is, in-itself, a different contest! Not a good idea. This is not to say that the mechanics of “putting one foot in front of another”, over such arduous conditions, is not recognized. But, it is important that these elite, established, and outstanding athletes, recognize and understand their responsibilities of maintaining a “Level Playing Field”. These same participants must also NOT challenge the authority and judgement of any Race Official’s action. Right or wrong! There is NO “Instant Replay” and, if such were available, the “call” would have remained the same: DISALLOWED! All Athletic Teams must NEVER forget that they are the guests of the ‘Event”. And as such, their entry fee does not allow the abuse of the Course, or its purpose. At the discretion of the Event’s Officials, judgements, to “challenges” may occur, sometimes in conflict with the entrant and Organizer. The condemnation, in the recent BW135 (Chris Kostman/Race Director) was, in my “ancient philosophical approach”, appropriate but too lenient. I would have given a Full Refund, on the spot, disqualified the “team” and notified the DVNP as to my actions. For the record, that team would have been listed as a: NO SHOW!! Not pleasant, but that’s the way I operate, if you don’t like tough management, (and Chris Kostman is a tough organizer) then you have other options but not better challenges. The BW 135 is a TOUGH race, and tough “direction”, only the very best, of heart, dare apply. Not every applicant will be accepted, it’s a logistics nightmare. The entrant space is limited. It is only natural, desiring to be part of these great events. And, equally so, to demand of all parties, the utmost of fair-play. Mother Nature sets the stage, don’t try and “alter” it. Do it right or don’t do it at all! Anyone that attempts to cross Death Valley, in an organized event, MUST direct and comply their “procedures” so as to be consistent and common to ALL athletic teams. Remember, endorsement by the Race Officials, depends upon your cooperation, ONLY!. As old as I am, I’m quite sure that: given a Refrigerated Water Truck, Beautiful Ladies holding an Umbrella over this decrepit body and, NO time limit: I could (probably) make it today. It’s important to recognize and understand, while accepting the purpose, intent and value in preserving a “natural environment” compliance. Mother Nature’s “Child”: Death Valley, will have it NO other way. Make it HOT, DANGEROUS and UNWELCOMED!! Needless to say. being foolish and unprepared could place your name as just another statistic in the ledger of Inyo County Coroner, “Badwater Mayor”, BW ULTRA ledger/veteran, Ben Jones, MD. Sorry, but I prefer not to have him or anyone else, looking down at my toes before “my time”! Elite athlete or not, the circumventing of the Race Director’s “management” that defeat the very purpose of meeting, head on, the notorious and hostile environment of Death Valley, should NEVER be permitted. In 1974, on my first attempt to the “Challenge”, we (Me and, my long time friend, Dave Gabor) ATTACKED the”course”. Dave almost died, it was a year before he recovered. I learned quickly: Gently “fold” my way through this treacherous and untested, environment. I accepted Her guidelines, the rest is a matter of record. But, in today’s (24:36) it is a whole different world: Everyone wants a better performance. But, back in ’74-’77, it never occurred to me of being anything other than: “an extension of the ENVIRONMENT!” As ULTRAS grow in number and continually confront and accepts the challenge, in its true nature, Death Valley National Park, and beyond, will, forever, be the “Remarkable Quest”. The ultimate reward is the achievement of the “Quest”: 135 miles of interesting conflicts, most of which are within ourselves. Many individuals have died on these desert floors, and I’m sure that it wasn’t an easy way to die!! All ULTRAS that dare accept the challenge of traversing these hazards, of Mother Nature, do so within Her “natural guidelines”. These elements are protected and supported by the Race Officials. Their judgement and management is vital for the safety and success of these events. Therefore, fair-play and compliance guidelines, that are common to all participants, is essential! Anything else is unacceptable! Water tankers, large or small, is not natural nor common to all. The Officials’ responsibilities are broad and undefined. Every day of our lives, we make on the spot decisions. I’m sure that some were wrong. The Race Director’s decision was not improper! “Conduct” favorable to any particular runner, especially a Super Star, is understandingly noted but, not acceptable. The “Natural hostilities of the environment”, in-it-self, preclude “altering its’ (DVNP) position: DEFIANCE!!! The desert is not a friendly / forgiving arena. Obviously, SAFETY is of the utmost concern. The ‘BW 135’ is an amateur Ultra running event, NOT a Meg-$$-Corporate Challenge. The true challenger is that individual, that has trained: mentally, physically and spiritually, AND ready to accept the risks of their “Quest”. Gadgets are NOT WELCOME, in concept or reality. How lucky, it was for me, @30 years ago, to “try again and again”, not to have any adversarial conflicts! Other than good old Mother Nature. She spanked me very hard! Today, I’m wiser and thrilled that so many others have followed my BW to Whitney “Mystics”. Anything other than “Natural”, is in violation of “THE TRUE SPIRIT”. By Joseph N. Chorley, M.D., Principal Investigator, Lisa S. Bliss, M.D., Medical Director and 2004 Badwater Finisher, and Jeffrey S. Lynn, PhD. The crews for participants in both groups were asked to record information about their runners’ food and fluid intake during the race. Initial results were presented by Dr. Joe Chorley at the Endurance Special Interest Group at the ACSM Conference in June 2006. Leithäuser Renate M1, Doppelmayr Hildegard2, Doppelmayr Michael3, Finkernagel Holger4, von Duvillard Serge P5, Roth Heinz J6, Beneke Ralph1. A research study focusing on heart rate responses during ultra-endurance events took place during the 2005 race. Between 1974 – 1977, while training for my Death Valley run, I had ventured many miles and hours on Mt Diablo (a 4000′ mountain in “our back yard”). This was during a period of extensive heat, dry spells and prolonged drought conditions. Only the wild animals sensed and executed their abilities of survival. I became one of those animals. And, as such, I “marked my territory”. It was during this “primitive period” I had encountered many “nature experiences”. This is one, “The Cougar and me”. Keep in mind that I was a tall, tanned, muscular, talkative, and singing “Mountain Man.” I wouldn’t “surprise” anyone or anything. I slowly developed my own style of an acceptance personality, or better yet, a type of wilderness defense. After a few years of this style of “entering” the natural habitat of “critter-world,” I was able to do amazing things with the natural world. The following experience, alone, is worth all the “challenges.” One particular event was the day that I jogged through an area on Mt Diablo. This area was parched and, to the untrained, devoid of moisture. The winds were sweeping up the slopes of the Mountain, and of seemingly hurricane force (ripe condition for a catastrophic fire —- always a threat). I had started running down the side of the mountain, in and around huge boulders. These hot winds were roaring into my sweaty body. I loved it; the conditions were perfect. Except: I didn’t see the cougar, standing on the fire trail, just around the bend. It hadn’t sensed my coming presence either. That is, until I physically ran into its right hind-quarters. Boy, were WE surprised! It quickly sprinted up the side of the mountain. I just stood there, in disbelief! My first experience, and contact, with the rough and coarse hide of a real live predatory animal. (Other than some dogs I’ve encountered while jogging.) That was it ……… for then. The next day, while in the same area, I had stopped at a hidden spring, charted as “Big Springs.” Remember the environment and weather conditions. AND, my purpose on the Mountain. Refreshing myself, in the cool shade surrounding this oasis, I soon “sensed” that I wasn’t alone. So, I stood tall and started yakking loudy. Slowly turning around I acknowledged and greeted my fellow guest: the cougar, standing not mare than a few feet away. After sending friendly vibes .. no fear, I slowly encouraged an exchange of “positions.” It was amazing; I sat on an elevated rock and just spent about an hour with my fellow traveler (their territory covers at least 35 miles). Eventually it was time for me to depart; always standing tall and yakking, I proceeded to climb a very long and steep trail. My new “associate” came over to the trail, sat down and watched me slip over the summit. I never saw my “friend” again. But, I’m sure that cougar was aware of my every moveent, night and day. This story has been shared, around campsites, many many times. It is the absolute truth! Hi Chris. You really are a gift to the world of ULTRAS. Just when the accolades start pouring in, re: your Official Badwater site, you make it even better. The DV/BW trek wouldn’t have had its grand success without Chris Kostman. I’m very pleased that Jay is being featured. It is, with all due respect, long over-due. Thank you, many times over. Jay isn’t just another name or the second Death Valley-Mt Whitney trekker, he is truly an accomplished ULTRA. Look at the history of his amazing distant running. Jay and I are so different in our involvement: He stays active and helps in the development and support of the Ultra tradition. That requires a great deal of personal sacrifice and open commitment to the sport. He is there in the public’s eye, as to whom and what he is/has done. I couldn’t do that; I’m too selfish and a real loner. I love people but enjoy and seek my “cave.” It’s easy to prepare and endure your own personal demands as you search for the Holy Grail, but quite different when you’re exposed. No one to witness failure or share in the solace of the euphoria of success. Even in victory, the legacy of 1977, depicted in the photos, are isolated and my own. The photographers, Eric and Glen and the ‘POL’ writer, Roger, have left me behind, RIP. So, there are no consequences; it was meant to be. I yield to the younger and stronger ULTRA, Jay. During the extended training/DV attempts, I rode a stationary bike at very high temps, hours at a time. My runs, on Mt Diablo, were in a box-canyon where temps were always above 100 degrees. NASA had contacted me and was interested in doing a research project of my training routine and the actual run itself. I remember an Exercise Physiologist (I believe his last name was Snell) wanted to put a “scientific” instrument into my intestinal tract. The purpose was to measure stress and ‘core body temperature’. They later scrapped the idea because they felt that it was too dangerous and that it could be fatal. I did get some preliminary results, as a ‘base point’. In 1974 a similar recording was taken and it was determined that my initial core temperature was 98.7. In 1977 the same measurement showed that my ‘core body temp’ was now 96.4, it has never changed. When I go for a check-up the medical staff will always ask m: “have you always had a ‘sub-normal body temp?” During Worlw War II, the US Army was training soldiers in the Mojave Desert. They were being acclimated to heat for the African Desert. But, because of Japan’s invasion of the remote islands off Alaska, these desert-trained troops were sent to the frigid cold of Alaska. To the surprise of all, they were very comfortable: because their ‘body core temp’ had dropped a few degrees. I found the same response when the weather turned cold. Just thought you might find this info rather interesting. Feb 4, 1967 was my 39th birthday. My age, now, being 77+, that’s almost a lifetime ago. I had just left an extensive physical, by the University of California team physician, Thomas Barber MD. His last words to me, and I have repeated them many times, over the years. “Al, my friend, unless you make a commitment to, and establish a constructive style of nutrition and exercise: the next time I examine your body it will have a tag on your one of your toes!” Not a pleasant diagnostic evaluation. You often say “there are NO coincidences” but, on that same day, I received an invitation from David Pain (an attorney in San Diego) to compete in the first US Masters Track and Field Championships, for men 40 and older, to be held in San Diego on July 4, 1968. I had 18 months to turn around my “lifestyle” IF I wanted to be included. AND, of course, to stay alive. At that time, I weighed almost 300 pounds!! I won’t bore you with anymore but I will say that I met ALL my goals. This photo is a DECADE LATER. According to Herodotus, author of the Histories, during the height of the Persian Wars in 490 B.C., an ancient Greek named Pheidippides ran a monumental run from Athens to Sparta. The distance he covered was 152 miles, and he managed to reach his destination in only two days. On one of those days, near the top of Mount Perthenium, Pheidippides witnessed the apparition of the god Pan. Pan called Pheidippides by his name and instructed Pheidippides to ask the Athenians why they had forgotten him. Pan explained to Pheidippides that he has helped his people in the past and he would help again in the future. This encounter with Pan motivated Pheidippides to continue the run at a non-stop rate to reach his destination and to deliver the message (Herodotus. History of the Persian War, 2003). In the summer of 2002, a ten-time Badwater ultra marathoner named Marshall Ulrich ran a similar race from Badwater, California to Lone Pine, California. The distance between these two locations is about 135 miles across Death Valley, and the race was done in July, one of the hottest months of the summer. He finished the race in only two days. On one of those days he reported experiencing a variety of fantastic images such as watching a mysterious woman wearing a silver bikini rollerblading in front of him, seeing green lizards that never existed, and experiencing the sensation of an air plane pulling up beside him (Bowers, 2002). These images caught the attention and imagination of a fascinated public who eagerly listened to this NPR special human-interest report. From this story, the public as well as Marshal Ulrich could easily rationalize that these visions didn’t actually exist, but were only in the confines of his mind. Thus, his experience was categorized as a hallucination. An interesting question arises when analyzing these two stories. If Marshal Ulrich’s experience was the result of a hallucination, could we categorize Pheidippides’ experience in the same modern definition of a hallucination? Based on the literature, there is a relationship between hallucinations and long distant running. Some of the predisposing factors that facilitate a hallucination are similar to what the body goes through when running a long distance event. Some of these examples are: an increase in body temperature, dehydration, hyperventilation, extended fasting, sensory deprivation/overload, sleep deprivation, prolong physical or emotional pain, and stress (Slade & Bental, 1988; Ford-Martin, 1999). Today, people who participate in other ultra-marathons, any marathon over 25 miles (Blaikie, 2003), have reported instances of hallucinations such as in the Barkley Marathon (Biddle, 1996). The hallucinations induced by ultra-marathons can give the sensation of reality, depending how many sensory modalities are affected. (Weiss & Heckers, 1999; Izumi, Terao, Ishino, & Nakamura, 2002) The degree of the intensity of the hallucination is affected not only through certain biological conditions of hallucinations, but also through a person’s cognitive perspective (Glicksohn, 1990; Klemperer, 1992). The cognitive aspect of perception plays an important part in helping a person to distinguish the normal from the abnormal. The presence of fatigue, monotony, or intense emotions, can obstruct these cognitive mechanisms that are normally used to help filter sensory information, creating an even more realistic hallucination (Beyerstein, 1996). The present study set out to investigate the extraordinary hallucinations of Badwater runners due to the fact that this particular race was known for its hallucinations and it provided a unique opportunity to simulate some of the conditions that Pheidippides might have had to endure. Badwater has been dubbed by many runners as one of the most difficult races in the world because of its unique features. The distance is 135 miles, the equivalent of five standard marathons, and temperatures can reach up to a sweltering 130 degrees in the summer. Another unique feature about Badwater is its drastic change in elevation. It starts off in Badwater, which is 280 feet bellow sea level, and terminates at Mt. Whitney, 8000 feet above sea level. This ultra-marathon is done on highway as opposed to trails. The highway presents difficult obstacles for the runners to overcome. The black pavement absorbs all of the sun’s energy, raising it to a torturous 200 degrees and making it difficult for the runner to finish the race. Also, the runners are in a constant forward motion causing damage to their feet such as “black toe” and huge blisters. Since the race is done on the highways, runners have to be aware of motorists traveling through Death Valley. The wild life of Death Valley might also present a problem to the runners as litter may offer a tempting meal for the natural denizens of Death Valley (Badwater Ultramarathon Race Magazine, 2003). The purpose of this study was to gain an initial insight into the basic facts surrounding these hallucinations. The areas studied were: first, how common were hallucinations among the runners, second, what time did these hallucinations take place, third, basic descriptions of their hallucinations, and fourth, what were their theories about their own hallucinations. The investigators sought to study these questions by traveling to Badwater, California to observe and analyze the Badwater 2003 Ultramarathon race. Personal interviews were conducted after the race. Questionnaires were distributed and gathered before and after the race. We started with several hypotheses regarding the hallucinations since there were numerous possible causes and broke it down to the five best explanations. First, we hypothesized that the hallucinations might be due to dehydration. In a short period of two hours, a person can lose about 2 gallons of fluid from their body by sitting perfectly still in the shade. 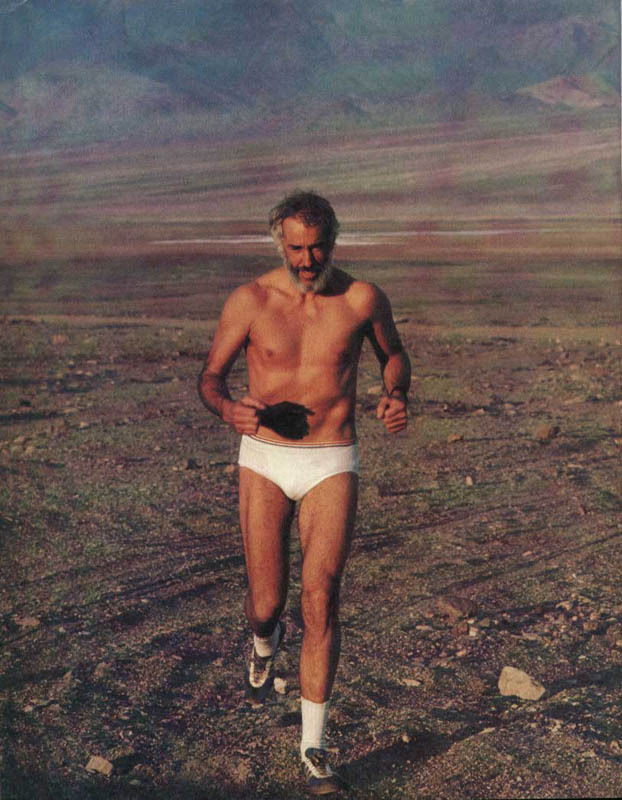 Thus, if a person is running a marathon in Death Valley, they will lose an incredible amount of fluid (Lingenfelter, 1988). For the second hypothesis, we theorized that it might be due to the physical exhaustion because of the harsh physical conditions of the race. These physical conditions will make the runner fatigued and they will experience various levels of physical pain throughout their body. For the third hypothesis, we theorized that these hallucinations were the result of a dramatic increase in the internal body temperature. In Death Valley, temperatures can exceed 120 degrees Fahrenheit during the day. This prolonged exposure to this temperature in Death Valley, combined with the strenuous physical activity of this ultra-marathon, could raise the internal body temperature to an unfavorable condition affecting the metabolism of the brain potentially inducing a hallucination. A sustained body temperature of 107 degrees will affect the mental functions of a person (Taylor, 2003). The fourth hypothesis was that sleep deprivation contributed to these hallucinations. Badwater veterans have often stated that runners will often run with inadequate amounts of sleep just to finish the race under the 60-hour time period. Functioning on a limited amount of sleep or no sleep can temporarily impair some of the cognitive abilities of the runners (Beck & Rector, 2003), thus increasing the probability of having a hallucination. The fifth hypothesis is “conning behavior”. This is a social phenomenon in which runners tell “tall tales” about their supposed hallucinations that are vivid but not actually true. Two paper and pencil questionnaires were utilized. A pre-race questionnaire was distributed prior to the race and a post-race questionnaire was distributed after. The pre-race questionnaire asked for information about the participants’ past experiences with hallucinations while running in other ultra-marathons. This questionnaire also collected information about the participants’ regular sleep cycles and their basic demographics. The post-race questionnaire was designed to document hallucinations that occurred specifically in the Badwater 2003 Ultra-marathon. Post-race interviews were also conducted. These interviews consisted of a series of open-ended questions allowing the participants to talk about their hallucination at Badwater with the interviewer. The interviewers were two undergraduate Psychology majors form The University of Texas at El Paso. All the interviews were tape-recorded. Runners from around the world came to Badwater to run in this high endurance event. The runners had no prior knowledge that there was to be a study gathering information about hallucinations on Ultra-marathon runners until the first contact by the researchers, approximately two weeks before the race. Utilizing the participant information supplied by the director of the marathon, Chris Kostman, we sent e-mail messages to all of the prospective runners (73) prior to the race. E-mail became the most effective means of communicating with the runners. We found that most of the runners had e-mail accounts and computers that they could easily access. There were five people who didn’t have computers or e-mail accounts. The e-mail messages were the same, introducing the study and giving the recipients a general time when the interviews would take place and the questionnaires distributed. Pre-race meeting. A pre-race meeting of all Badwater participants took place on July 21, 2003, the day before the race was scheduled to begin. This mandatory meeting was designed to let the runners turn in all their paper work and have one last meeting before they attempted the ultra-marathon. Since everyone who was going to run the 2003 race would be present, the meeting was a perfect opportunity to distribute the pre-race questionnaires. To increase the response rate, an announcement was made by Chris Kostman to encourage the runners to participate in this study and arrangements were made so that everyone would receive the pre-race questionnaire. The consent form and pre-race questionnaires were placed in a packet that every runner received. First post-race get-togethers. Two get-togethers were held following the race giving the runners a chance to talk to each other informally, to share stories, and to distribute awards to the runners who finished under 60 or 45 hours. The first post-race get-together was held immediately after the end of the race, July 24, 2003 at 6:00 pm, in Lo-Inyo Elementary School, Lone Pine, California where most of the 135-mile race was completed. This was an appropriate time to distribute the post-race questionnaires due to the fact that if runner had experienced a hallucination, the memory would be more immediate and accurate. During the first post-race get-together, another announcement was made by the race-director to encourage runners to participate in the study. At this point, the investigators asked the runners if they would like to be a part of the study and gave a post-race questionnaire to any runner who wanted to be a part of the study. Those runners who agreed to participate were also asked for a potential time after the race when they could be interviewed. Most of the surveys were filled out that day. However, a few runners asked if they could fill out the survey at a later time and return the questionnaires through mail or e-mail. Second post-race get-together. On the morning of the 25th, the second informal post-race get-together was held at the Season’s Restaurant in Lone Pine, California from 8:00 am to 10:00 am. This second post-race get-together gave the runners one last opportunity to talk to other people to share their stories and experiences. This location was smaller than the first post-race get-together and could hold only 75 people. A free breakfast was provided for all runners, crewmembers, and family members. Everyone sat in small groups of four or more, and the post-race questionnaires were distributed once again to anyone interested who had not filled out any questionnaires at the first post-race meeting. While the questionnaires were distributed, the investigators asked the runners if they had time to schedule a quick interview. Because there were no speeches or ceremonies, the setting provided the opportunity to talk to participants about their experiences. All interviews in the study took place at this second get-together. The investigators used a tape recorder and notebook to record the content of the interviews. Final Post-Race Contact. Many of the runners were interested in being a part of the study, but only a few turned in all the questionnaires. Before the marathon, the use of e-mail was an effective means of communication as a way of introducing the study. Thus, it was used again following the race to distribute questionnaires to runners who had not provided data at the two follow-up meetings. This means of contact became critical in that it provided a quick and easy way for the participants to fill out the questionnaires while the memory of the race was still fresh. These e-mails contained the consent form and the pre and post-race questionnaires. It also gave explicit instructions so that the runners could either respond by e-mail or print out the forms and mail the data to the primary investigator. Three pre-race questionnaires were collected before the race using pencil and paper. Several participants expressed an interest in filling out the questionnaire but asked to do so after the race rather than before it. Because the questionnaires dealt mainly with the participants’ prior history of hallucinations while running, these participants were allowed to submit the pre-race questionnaire by e-mail after the race. Nine questionnaires were collected via e-mail, bringing the total number of completed pre-race questionnaires to 12. Amount of normal sleep when not running a marathon. The most important aspects of the pre-race questionnaire were the questions that dealt with amount of sleep the participants normally got at any given day, and if they ever had a hallucination while running any long-endurance race. The average amount of sleep in the sample of 12 people was 6.8 hours. Fifteen participants completed post-race questionnaires using paper and pencil surveys. Fourteen of these completed the questionnaire at the post-race get-togethers following the race, and a single participant mailed in a completed questionnaire within 3 weeks following the race. An additional 5 questionnaires were collected by e-mail within 4 weeks following the race. Thus the total number of participants who completed post-race questionnaires was 20. Education. Nine people were college graduates, 4 people attended or finished graduate school, and 3 people reported they were medical doctors, 2 people attended college but didn’t graduate, one person had a PhD, and one person didn’t answer the question about their level of education. The amount of sleep. Fifteen people reported getting at least some sleep during the race. Based on those people, the average amount of sleep was 162.85 minutes. Four people reported they didn’t get any sleep during the race. One of the participants didn’t respond to the question regarding amount of sleep. Hallucinations. Six people out of twenty participants (30%) reported that they experienced hallucinations during the 2003 Badwater race. Fourteen people reported they didn’t experience any type of hallucinations. One of these 14 indicated on the questionnaire that she didn’t have a hallucination, but later reported during an interview that after filling out the questionnaire, she had been told by her crewmembers that she had been observed hallucinating during the race. Sensory mode of the hallucinations. Of the six people who experienced hallucinations, two reported experiencing visual hallucinations only, two reported auditory hallucinations only, one reported a combination of visual and auditory hallucination, and one reported a combination of both visual and tactile hallucinations. Insight about the hallucination. Four of the six participants reported that they knew their hallucinations were illusory rather than real at the time that they occurred. Time of the hallucinations. Four people experienced their hallucinations between midnight to sunrise. Two people experienced their hallucinations at two different times, one between sunset to midnight, and the other between midnight to sunrise. Duration. Four people reported their hallucinations lasted for less than one minute. One person’s hallucination lasted 5 to 15 minutes. One person experienced a hallucination for more than one hour, although he stated in post-race questionnaire that the hallucination was sporadic throughout a one-hour period. Emotion. Four people reported they felt other emotions that were not on the post race survey’s answer choice. One person said they were both angry and frightened when they had their hallucinations, while one person didn’t answer this question. Theories. Many of the participants had thoughts about why they hallucinated. As examples, they described sleep deprivation, personal feelings, the darkness, and fatigue as reasons for these hallucinations. Starting and finishing time. From the three starting periods, 6:00 am, 8:00 am, and 10:00 am, the average starting time for most of the participants was at 8:00 am. Five people started the race at 6:00 am, nine people started it at 8:00am, and six people started at 10:00 am. Eleven of the runners completed the race in less than 48 hours, seven finished the race in less than 60 hours, and two did not complete the race. The average time for finishing the race was 47.36 hours. Participant Interviews. There were five people (3 females and 2 males) who agreed to be interviewed in this investigation. All of them were American citizens and two out of five were returning veterans. Four out of the five completed at least one of the questionnaires; only one person didn’t complete either of the two questionnaires but agreed to be interviewed. Based on the pre-race survey, two people had a history of hallucinations in long endurance races. Participant A. Initially, participant A had no memory of her hallucination until one of her crewmembers told her she had one. The crewmember noticed that she was exhibiting odd behavior that he thought to be indicative of someone hallucinating. According to what her crewmember said about this event, she stared at an object off the side of the road and said in a calm voice, “I know you are not real”. She continued the course unaffected by her hallucination. The hallucination lasted for only a few seconds and her crewmembers said she was perfectly tranquil during this entire event. Participant A couldn’t recall the exact details about the image she saw on that night because she didn’t feel fully conscious at the time. However, later on that night, at mile 90 near Darwin, she was wide-awake to report her time and number to the time station. The basic description of her hallucinations was based entirely on what her crewmembers remembered about the event. She did, however, say that she knew she had hallucinated because she recalled it feeling like a dream that couldn’t be recalled at the beginning; but became clearer as more memory cues were given. Other comments by Participant A regarding her own and other people’s hallucinations. She theorized her body needed to rest; running Badwater deprived her of that chance. Participant A thought that her brain went into a conservation mode that only allowed a minimal amount of activity. Participant A said this had been the first time she stayed awake for the full 52 hours in the race. She took a few 10-minute naps in the car. The hallucinations participant A observed of other people dealt with depth perception. For example, she described how a man who ran Badwater at a previous race experienced an abnormal event with the white line that divided the road. The white line rose up in front of him to form what he saw as a huge white wall. Later on, that same white line formed an image of a trench that the man tried to avoid. She also pointed out, that in general, runners will see familiar objects in Death Valley, but in their mind they will change the way the object looks and functions. For example, bushes and rocks in Death Valley can become the outlines of creatures or other objects created in their minds. She theorized why people, in general, are not scared of these events. During a hallucination, runners are temporarily stuck in a semi-conscious state, which renders the experience less frightening than people might think because the runners are not thinking rationally. Participant B. 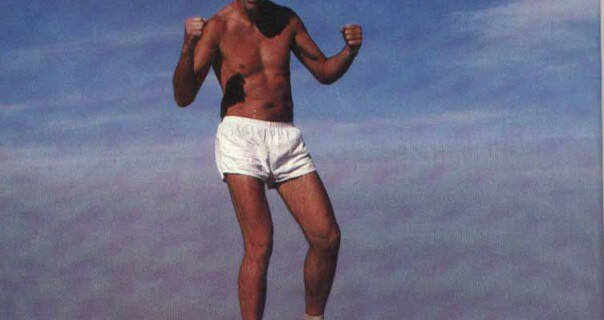 At the Badwater 2003 Ultramarathon and in other Badwater Ultramarathons, he only experienced auditory hallucinations. These hallucinations are voices or noises that he heard coming from behind. He reported that his hallucination happened on the second night, but added more information about the time that wasn’t on the questionnaire. He said that these hallucinations are not exclusive to the night and it can continue into the following day. Participant B was unclear as to whether this hallucination occurred beyond the second night. He only added this information to clear up the mystery of hallucinations occurring the next day. During the interview, he described that he would either hear voices or something else coming up from behind. He would frequently check around him when he was hallucinating even though he knew there no other people in sight. He stated that it lasted for a few seconds at a time, but it continued during this time period. The voices were unclear and muffled and he did not hear his name or any other important message called out to him. He felt these hallucinations had no special meaning, and viewed this entire experience as something non-frightening because he recognized that it was an only a hallucination, and not a total loss of reality. Participant B experienced hallucinations on other ultra-endurance events. 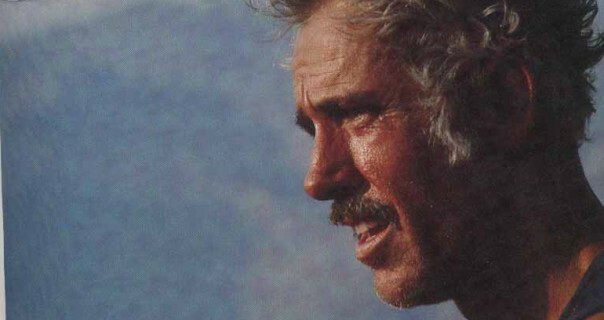 He commented that although he just heard things in Badwater; he saw things at other ultra-endurance events. In the interview, he described a visual hallucination during a100 mile trail run that could best be described as tunnel vision. The world appeared as if he were inside a tunnel limiting his visual field to a narrow opening in the horizon. Participant B said he only felt curious about this event. He said he was not scared, happy, sad, or any other emotions listed in both the interview and the questionnaires. This hallucination lasted as long as his regular hallucinations in Badwater, but the information regarding about time, frequency and the duration for his this event were not given in the interview. The explanation he had for this type hallucination was based on his idea that his mind might be processing only the minimal amounts of information about the world. He believed he experienced tunnel vision because this run required him to be more aware of the trail as opposed to Badwater. Other comments by Participant B regarding his own and other people’s hallucinations. He explained he was able to handle the race for the first 24 to 30 hours without any trouble, but after 30 to 36 hours, his body began to shut down for a few brief moments. He believed his hallucination happened because of fatigue and sheer physical exhaustion from the race. Participant B knew that there was nothing he could do to prevent his hallucinations because he would still hallucinate when he regained his strength to finish his race. Participant B said hallucinations are common among runners in long endurance events. The stories he had heard from other people varied in their level complexity. Some people had saw very vivid images while experienced a hallucinations that was very simplistic. Participant C. Participant C’s interview was conducted over the phone two weeks after the race. He was the only participant who filled out both the pre-race and post-race questionnaires. Participant C’s hallucinations occurred from midnight to sunrise on the second night of the race. He had more than one hallucination on the same night, visual and tactile. The first visual hallucination was about how the white line on the highway formed a structure resembling a barricade. The second visual hallucination was a red holographic image of a table. Participant C mentioned that he wanted to touch this table, but was unable to sense the table with his hands. For the third visual hallucination, he experienced tunnel vision. Participant C also experienced a tactile hallucination in which he felt the sensation of a bat or something else slapping against his shoulder. He knew these experiences were the result of hallucinations. He mentioned that he had the ability to control his hallucinations. By focusing on something, he could make it go away; or by relaxing, he could allow his hallucinations to reappear. Participant C felt like these hallucinations had no special meaning to his life. He said that this entire experience interested him and that none of the options in the interview or the questionnaires could accurately describe his feelings towards these hallucinations. Other comments by Participant C regarding his own and other people’s hallucinations. Participant C believed he had these hallucinations because he was exhausted. He believed he could not have prevented these hallucinations, but suggested that if he had gotten more sleep he might not have hallucinated. In regards to his insight about other people’s hallucinations, he said it is very common for people to hallucinate during long endurance events. People all have different hallucinations, and it varies from person to person. Participant D. Participant D experienced a combination of visual, auditory, and tactile hallucinations. Her visual hallucinations consisted of terrifying images of rotting corpses watching her every move, and following her during the race. She also saw giant beetles and ‘mutant mice monsters’ crawling on the road. She heard noises from behind her, but didn’t want to check their source. She also described a tactile hallucination of something pushing or grabbing her. This tactile hallucination was not documented in the post-race questionnaire, but was gathered from this interview. Although she commented that these scary images did frighten her, most of her fear came from the overwhelming sensation of having no control of the situation. All of her hallucinations took place on the second night between 9:00 pm and 11:00 pm. These hallucinations lasted for only a few seconds with it reoccurring throughout this time period. Participant D stated it was difficult to distinguish between her hallucinations and reality. She felt her hallucinations interacted with her because it felt like these creatures were out to get her. Participant D had a hallucination prior to Badwater, 2003, at a different long endurance race. She said she saw an image of a tree that looked liked it had worms in place of leaves and branches. Participant D said this image didn’t scare her, and felt like it had no special meaning to her life. The specific details about what time the hallucination occurred were not given in this interview. What is known was that she experienced a visual hallucination that lasted for only a brief moment similar to Badwater. Other comments by Participant D regarding her own and other people’s hallucinations. Participant D believed she couldn’t have prevented these hallucinations because if she knew how to control it, she would have tried to stop it. In regards to other peoples’ hallucinations, Participant D said that these hallucinations were quite common in events like Badwater. She also stated that even those who did not experience hallucinations noted that everything they perceive becomes magnified and exaggerated. Participant E. Participant E’s observations and theories regarding other people’s hallucinations. Participant E didn’t have a hallucination in the Badwater 2003 Ultramarathon or any other hallucinations induced by prolong running. The observations he provided in this interview are based entirely upon individuals he personally assisted at previous races and personal experiences in running Badwater marathons. He began the interview by comparing the similarities between hallucinations in Badwater and normal dreams. He suggested two main points about both of them typically occur when the sun goes down, and there is an impression that the same minimal amount of brain activity associated with sleep might be connected to hallucinations. He explained he had not heard of anyone having a daytime hallucination, but acknowledged that it could theoretically exist. His other theory about the origin of hallucinations was based on the variant amount of attention people have given to the race. He suggested that if the runners have nothing to focus on during the night, this lack of attention could possibly induce hallucinations. The logic behind his theory derives from the fact that many of the runners wear headsets that play their personal music. He suggested that the runners who wear these headsets might be reducing their chances of having a hallucination since their attention is shifted towards their music. Participant E described how the artificial light in the night affects the runner’s perception, and how these same events could also induce hallucinations. The runners will often see a world of unusual patterns of light from reflective materials and flashlights. He mentioned that these lights could give the false impression of movement in an inanimate object or make the object appear to be an animal. He stated in the interview that he had not heard of anyone having a hallucination at the beginning of the race. As runners get deeper into the course, they become more fatigued and physically exhausted that increases the likelihood of hallucinations. According to what other runners have told him, after 18 hours, they will start to get tired, and after 42 hours, hallucinations often occur. On the second night, there is a strong tendency for the hallucinations to become more dramatic when compared to any of the other days. Also, at certain locations in the race, Darwin (90 miles) and Keeler (107.8 miles), and particularly at night, people will often experience visual hallucinations. These visual hallucinations can take on the form of a variety of different images such as road signs, condominiums, scorpions, and panda bears. Four findings from the present study seem particularly notable. First, 30% of the participants in the present study reported hallucinations of some kind during the Badwater race of 2003. Second, all of the hallucinations took place at night. Third, all of the runners reported an abnormal amount of sleep. Fourth, a peculiar notable finding, is the accuracy of the runners’ memory. Each of these findings will be discussed in the following sections. Rate of Hallucinations during the Race. Thirty percent of the participants in this study reported at least one hallucination during the Badwater race. It appeared that these hallucinations were usually brief. All of the runners had insight into their hallucination. Their hallucinations were either auditory, visual, tactile, or a combination of the three. The most common sensory mode affected was visual. It is interesting to note that, by contrast, hallucinations of schizophrenics tend to be auditory and more frequent. Also, schizophrenics often have little insight into their own hallucinations. (Lobban, Haddock, & Kinderman, 2002) This suggests that the causes of hallucinations in the runners may be different from the causes among schizophrenics. Hallucinations in the Night. A frequent theme in both the post-race questionnaire and interviews was that hallucinations took place at night. The usual report from both sets of data (questionnaires and interviews) was that the hallucinations transpired around midnight. When the participants were asked to give a brief description of their hallucination in the post-race questionnaires, they typically included a physical description of the night being a part of their hallucination (i.e. unusual light patterns from flashlights or stars). Based on the data from the interviews, the runners were able to provide specific details about the time, which was not detailed in the post-race questionnaires. All participants mentioned that their hallucinations happened on the second night. In the case of participant B, it went beyond that standard time period. If participant B’s hallucinations continued to occur on to the remaining days of the race, the second night was the most dramatic and intense. Participant E mentioned a similar notion of the second night being the most memorable hallucination. He gathered this from his personal observations of different people he had assisted at previous Badwater races that the second night was the most intense and widely reported. From this set of data, the second night is consistent in containing the most descriptive part of their hallucinations. Also, an interesting finding in the literature is that other ultra-marathon events have noted that runners frequently experience hallucinations on the second night (Hagen, 2001). Many runners viewed the night as an important factor that shaped their hallucinations. Many often spoke about how the shadows formed basic outlines of figures that triggered their imaginations. Another common theme was that the artificial light created perceptual errors in gauging the size of the white line along the highway. Based on these interviews, three people reported a similar story of a man drastically miscalculating the size of this white line. One of the participants reported that he personally went through this experience. The other two reported they witnessed it while they were crewmembers at previous Badwater races. In all cases, the story was about how this white line became an obstacle for the runner to overcome. In his mind, he saw the white line as either something that stood up from the ground like a wall, or something that sank into the ground like a trench. Abnormal amount of Sleep. Another common result was that all runners were unable to get the normal amount of sleep. Many reported they didn’t get any sleep during the 48 or 60 hour time period, while others managed to take brief 5 – 20 minute naps throughout the race. One of the participants managed to rest while running. He accomplished this by letting the pacer guide him away from danger. By letting the pacer guide him, he felt comfortable enough to close his eyes and enter into a relaxed state while running on the highway. Based on the information gathered from the interviews, people related their hallucinations in Badwater to typical dreams that anyone could conceivably experience. There is often an implied analogy that the two are related to each other. The reasons for this belief stems from the fact that both occur at night when the body is tired. The mind processes old sensory information and, like dreams, people are usually not completely conscious about the entire experience. With questions that dealt with the participant’s explanations about why they hallucinated, they often connected their normal experience in nightly dreams to the extraordinary cases of their hallucinations. They made this connection by stating that they were very tired when they hallucinated, or they described the experience as if it were a dream. The Runner’s Memory. People may forget that they had a hallucination because they were only partially conscious for some parts of the race. Participant A initially reported that she didn’t have a hallucination on the post-race questionnaire, but during the interview, one day after finishing the post-race questionnaire, she came back to say that she did have a hallucination. The reason she had this sudden shift of memory was due to the fact that her crewmembers told her that she had hallucinated. The crewmembers knew she was hallucinating by witnessing her odd behavior on the second night (see participant A). This finding suggested that other people might have hallucinated, but they may have had no memory of their experience. Participant E mentioned that during certain parts of the race he was not sure how he got “there” because he couldn’t recall how he got from one location to another. In the Introduction, we described several hypotheses regarding the hallucinations of the runners. In the following section, we discuss each of these hypotheses in light of the present findings. Dehydration hypothesis. 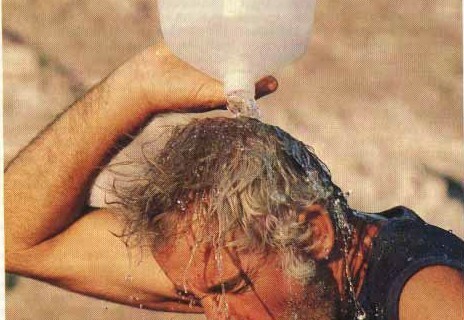 One hypothesis is that the runners’ hallucinations are caused by dehydration. This hypothesis cannot be evaluated with the data from the present study. The questionnaires didn’t effectively measure the actual amount of dehydration since it didn’t take into account the amount of fluid going in or out of the body; nor was there a question as to the type of drink(s) the runners consumed to stay hydrated. Future studies may evaluate this hypothesis by addressing these issues. It would also be necessary to have questions that asked if the runners noticed if their urine was visibly darker during the probably time of their hallucination. Exhaustion hypothesis. One hypothesis is that the hallucinations are caused by physical exhaustion. This hypothesis received some support from the present study because all of the runners experienced some form of physical exhaustion while running this ultra-marathon. Although this may be one of the causes of their hallucinations, it may be connected to other predisposing factors of hallucinations. Future studies may evaluate this hypothesis in depth by using a rating system to measure the amount of pain they experienced at that particular moment of the race. Prolonged exposure to high temperature hypothesis. This hypothesis dealt with how an increase internal temperature could theoretically induce a hallucination. This hypothesis is difficult to evaluate with the current data. All of the runners were exposed to the same high temperatures of Death Valley, but it is difficult to discern to what extent the temperature might have played a role in inducing hallucinations to individual runners. All the hallucinations in this sample occurred during the night. This might lead to the assumption that temperature was not an important factor in inducing a hallucination since no hallucinations were reported during the day. Further studies may evaluate this hypothesis by addressing this issue by using a practical method of measuring the internal temperature of the runners without sacrificing a substantial amount of their time. Sleep deprivation. According to what veterans of Badwater have commented about the race, the runners will often sacrifice sleep so as to finish the race under 40 or 60 hours. One of our hypotheses was that sleep deprivation played an important role in inducing hallucinations. All of the runners in this sample got an abnormal amount of sleep during the race as compared to their normal functional daily amount of sleep. Based on the data supplied by the runners who hallucinated, every hallucination took place during the night, which supported the premise that the disturbances in their sleep pattern produced these dream-like hallucinations. Further studies may evaluate this hypothesis by asking the runners how they slept. Based on the interviews, one participant indicated that he managed to rest a little while running. The future studies could also use an additional question stating the least amount of sleep needed to function. This additional question could be used in conjunction with what was asked previously concerning their normal amount of sleep. Conning behavior. This hypothesis focused on the “conning behavior” of the runners. There may be a social phenomenon occurring in which the runners tell “tall tales” about their supposed hallucinations. Their accounts about their hallucinations are vivid but not really true. The runners were given the post-race questionnaire immediately after the race, thus reducing the “conning behavior”. Interviews were conducted a day later to verify the account of their hallucinations, and to see if there were any noticeable changes in their story from the post-race questionnaire to the interview. Further studies may consider using this method in conjunction with a separate method of interviewing the crewmembers that assisted the runner. The crewmembers could be asked if they noticed any strange behavior that is indicative of someone hallucinating and to describe the runner’s actions, words, and gestures during the hallucination. Based on this data, we can make a reasonable conclusion that Pheidippides experienced a hallucination in 490 B.C. much the same way Marshal Ulrich experienced his hallucinations in 2002. Both of these men went through similar conditions that predisposed them to experience these vivid, realistic hallucinations. Their incredible journeys contained the classic elements of the struggle against the forces of nature and they both entered the coveted realm of existence where imagination and reality are one. Their stories inspired two different authors to give separate explanations as to what actually transpired; one explained it was a direct contact with the gods, and the other explained that it was a mere perceptual miscalculation of the mind. As the study of hallucinations continues to be investigated, our definition of what is imagination and what is reality will continue to be redefined.